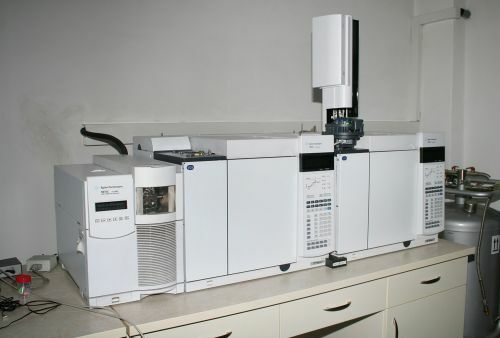 This part of the laboratory is equipped with unique Gas-chromatographic system – two consequently connected gas-chromatographs with two flame ionization detectors and mass selective detector GC-FID Agilent7890 with ALS7693 GC-FID-MS Agilent7890 with MSD Agilent5975C. 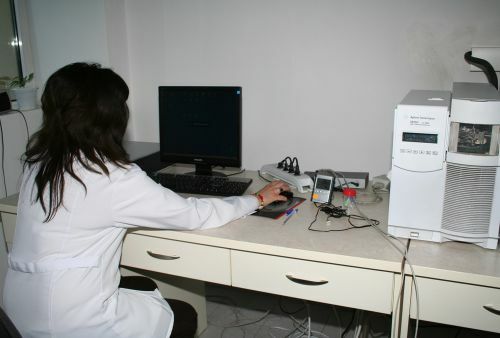 It allows precise and reliable determining of areas of the eluted components of the essential oils. The data is processed with MS Chem Station v.E.02.01 software. Here is also situated atomic absorbing spectrometer - model "NovAA 350", with mercury / hydride system – model HS 60 A, Analytik Jena AG, Germany. 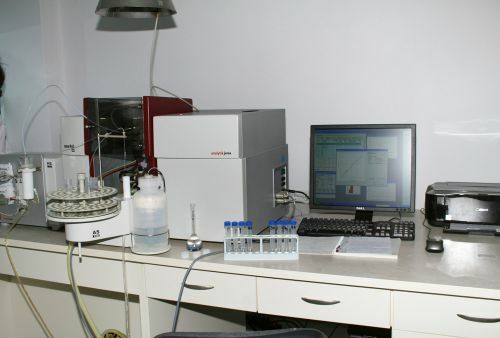 The apparatus is used for analysis of heavy metals in cosmetic products – toothpastes, creams, shampoos, perfumes, essential waters, etc. 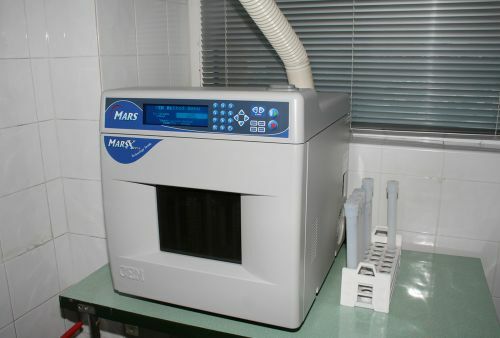 In the sample preparation, the sample is mineralized in microwave system for decomposition of Mars Xpress sample.